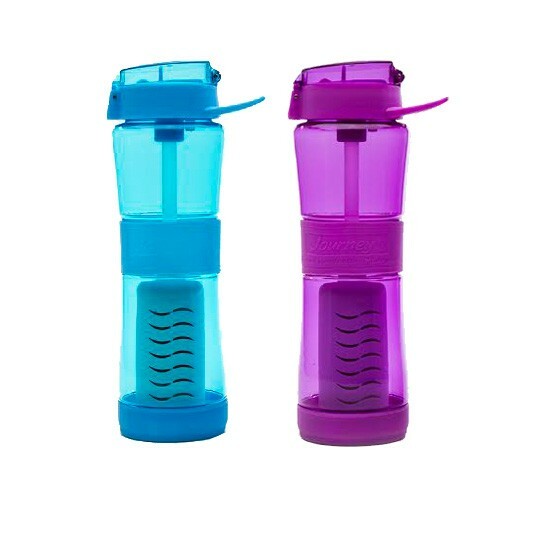 The Sagan Journey Water Bottle is available in Blue, Orchid and Double Walled Stainless Steel. 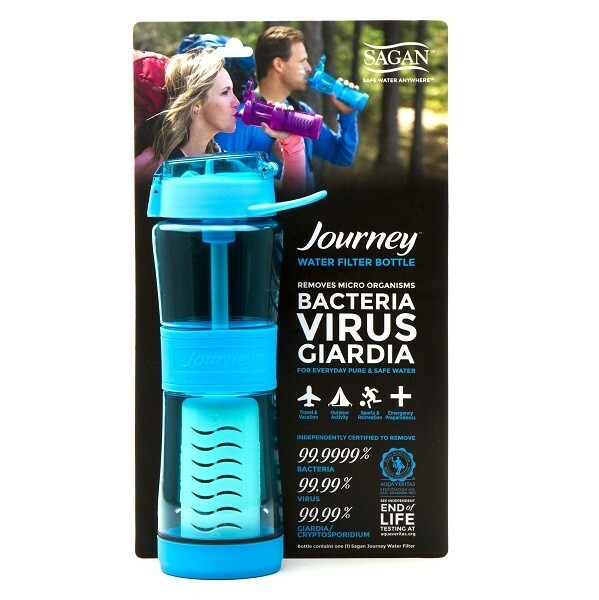 Holds 750ml (24 oz) of liquid. Flip cap makes it easy to open. 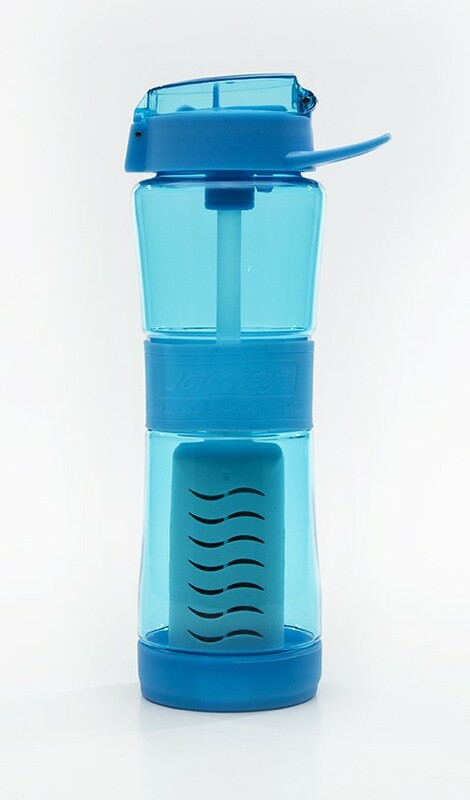 Patented "well" design allows you to get every drop. Includes one filter which filters up to 946trs (250 gallons) of water. 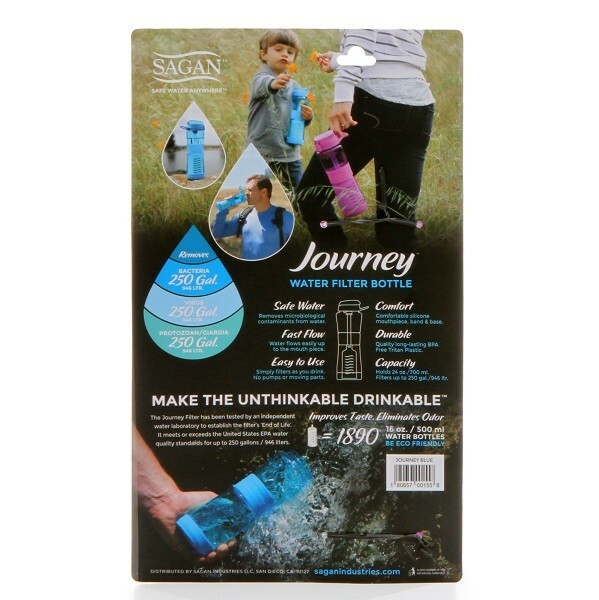 Read more about theSagan Journey Water Bottle at Sagan Filters.com. I took the Sagan water bottle with me on deployment to Dominica after Hurricane Maria. The country has been devastated with little infrastructure useable, no running water and little food available so our team arrived with the aim of being self sufficient. There are plenty of streams around Dominica, but not always close at hand , and there were some hospitalisations from drinking stream water that was now being heavily used by everyone, for everything. I found the bottle to be practical and fast to use. We were carrying out heavy physical work in hot conditions, and the bottle gave me assurance that we could always have access to water by using the Sagan, and in desperation the straw. I was concerned as to whether the bottle was tough enough but it survived a two week deployment, moved around between chainsaws, bags and pick ups. 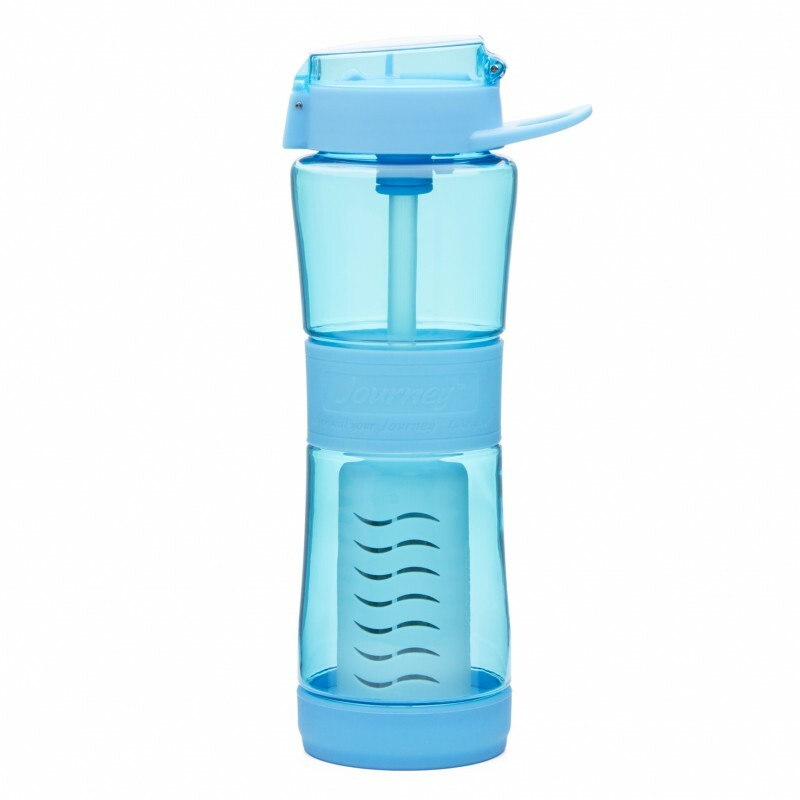 I really love this water bottle. The fact that is has the filter inside makes it awesome. 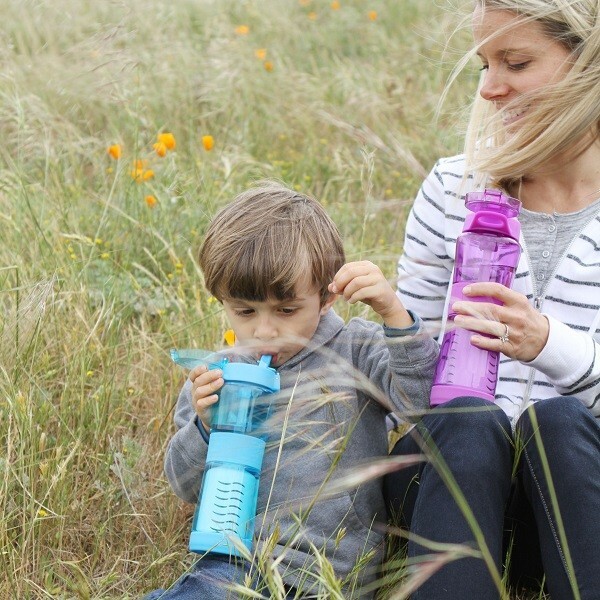 I can take it everywhere - and I do - fill it up with any water source, which is generally just tap water and know the water is healthy drinking water. I am not a fan of tap water because of all the pharmaceuticals in it. Some areas are worse than others, but drugs in our tap water is super scary, especially for kids or pregnant women. So I give this bottle a 2 thumbs up and am super happy to have it. It works great, btw, easy to pop open and drink from.